Your FREE guide to getting lean is simply a click away. #KICKSTART Training with Change is a totally FREE document designed to give you the push and guidance you need to start your journey to a fitter, healthier and leaner you. 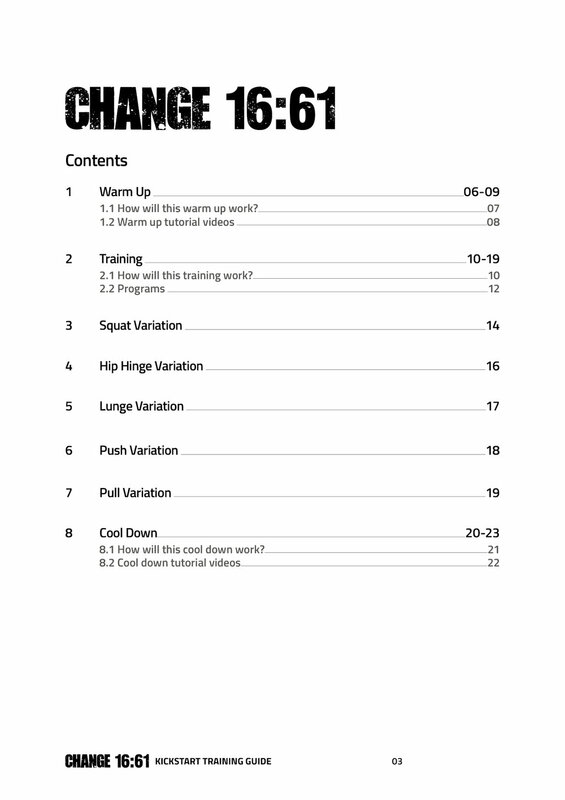 From warm up to cool down, training and instructional videos, this FREE PDF covers everything you need to kick start your training, offering direction and guidence over the next 14 days. So if you are still thinking about purchasing #TRANSFORM but are not yet sure, download #KICKSTART training today for FREE and start working towards your goals and results.